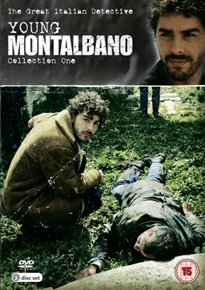 First collection of episodes from the spin-off series of the Italian drama ‘Inspector Montalbano’, based on the novels by Andrea Camilleri. Michele Riondino plays the title character, who is reassigned to his home town of Vigata to tackle the many mysteries that arise there – providing he can avoid becoming distracted by his love for Livia Burlando (Sarah Felberbaum). The episodes are: ‘The First Case’, ‘New Year’s Day’, ‘Back to Basics’, ‘Mortally Wounded’, ‘The Third Secret’ and ‘Seven Mondays’.